Here's a connection between two words that you might not have known. I don't have too much to add, but I found it really interesting. Old French date (French datte), from Old Provençal datil (or from Italian dattero), from Latin dactylus, from Greek dactylos, 'date', which is of Semitic origin. Compare Hebrew deqel, Aramaic diqla, Syriac deqla, Arabic daqal, 'date palm', and Hebrew Diqlah, name of a region in Arabia, rich in date palms (see Genesis 10:27 and I Chronicles 1:21). The form of Greek daktylos, 'date', was influenced by a folk-etymological association with daktylos, 'finger', suggested by the fingerlike shape of the date. In Biblical Hebrew we don't have dekel דקל for date, but rather tamar תמר. And in Talmudic Hebrew, when dekel was introduced (likely via Aramaic), it was used to refer to the date palm, not the date fruit (as in other Semitic languages). Tamar continued to refer to both the tree and the fruit. Regarding the Dikla דלקה of Bereshit 10:27, the Daat Mikra writes that Arabic geographers mention a place called Dikla in Yemen. 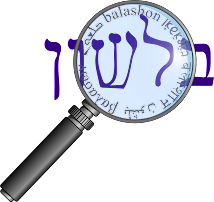 Regarding the root dkl - Klein in his Hebrew dictionary, following Ben Yehuda, says that the ultimate etymology is unknown. The homonym for date - "time" is not related at all, but as we saw here, might have a connection to the word in Hebrew for religion - dat דת.